Central governments come and go in New Delhi but India’s instinctive chariness and reserve on the issue of Tibet still persist, despite an increasingly muscular China upping the ante against it. Tibet’s annexation has affected Indian security like no other development, giving China, for the first time under Han rule, a contiguous border with India, Bhutan and Nepal and facilitating a Sino-Pakistan strategic axis through a common land corridor. Even as then-independent Tibet’s forcible absorption began just months after the 1949 Communist victory in China, India—despite its British-inherited extra-territorial rights in Tibet—watched silently, even opposing a discussion in the UN general assembly on the aggression. Since then, India has stayed mum on increasing Chinese repression in Tibet. But now, it is allowing itself to come under Chinese pressure on the Dalai Lama’s activities and movements within India. Consider the recent development when the Dalai Lama attended a public event at Rashtrapati Bhavan and met President Pranab Mukherjee. The government did the right thing by permitting the Dalai Lama to participate in the event, especially since it was organized for children’s welfare by Nobel laureates, a group that includes the Dalai Lama himself. The expectation of anonymity online has become extreme. Many have offered advice on how to properly focus NSC staff as well as the “right size” of the group. NSC structures and processes are designed to fulfill the needs of the president and should support his policy and decision-making requirements. These may vary from president to president to fit information processing and decision-making styles as well as the character of an administration’s foreign policy. Lt. Gen. Michael T. Flynn, the president-elect’s National Security Advisor, will manage the evolution of the NSC team to best support Mr. Trump and establish processes and coordinating mechanisms to tee up presidential decisions and implement the foreign policy initiatives of our 45thPresident. ** What’s driving China’s race to build a space station? With government support, General Bipin Rawat can address critical issues facing the Indian army. General Bipin Rawat assumed charge as the Chief of Army Staff on January 1, 2017. His appointment, though shrouded in controversy, indicates that he enjoys the support and goodwill of the government. In addition, the image of the Indian army is at an all-time high, after it successfully executed surgical strikes on terrorist camps across the Line of Control, in retaliation to the ongoing belligerent action by Pakistan, waging a proxy war in Jammu & Kashmir. This restored the dwindling faith of the people that the Indian army was and is resilient enough to meet the aspirations of a resurgent nation. This gives the new incumbent a running start and an unparalleled platform of political support to address the critical challenges faced by the Indian army. This can be ably supplemented by cerebral, soldierly and communication skills which, I am aware, are in abundance with General Rawat. The first and foremost challenge is to restore the intrinsic strength of unity in the Indian army and to reignite the fervour of oneness in the “rank and file”. It requires a two-pronged initiative. Internally, the existing policies/parameters of the military secretary needs urgent review, which, in the cloak of quantification, is obstructing the primacy of merit. Major policy changes initiated in the recent past, at times without adequate debate and at times, without the consensus of the Collegiate of the Army Commanders, has precipitated a feeling of casteism in the organisation. As if there are two distinct groups of “haves and have nots” in the army. This, in some cases, may be true or misplaced but is being exacerbated by social media. Had seniority been the only criterion, what was the need for a list of Generals to be prepared? 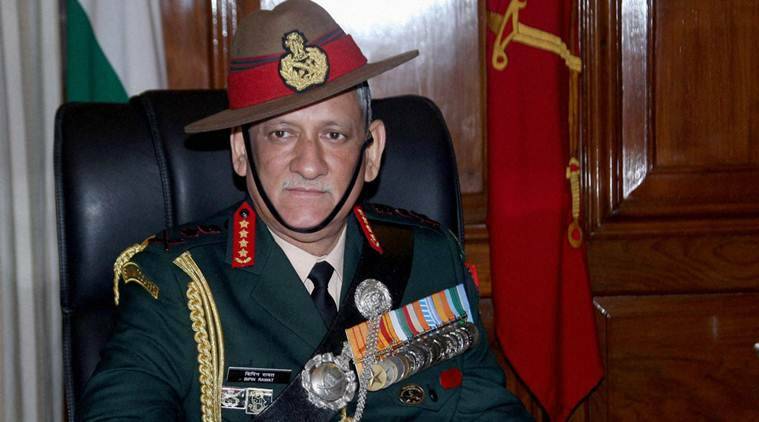 With General Bipin Rawat taking over as the Chief of Army Staff (COAS), one hopes that the criticism over his appointment will come to an end. It does not merit anyone to continue questioning the appointment of a senior personnel in the Armed Forces. The decision of the Government to break away from the seniority chain, to make the appointment of COAS on the basis of present-day requirements, besides merit, sparked a controversy, with the Opposition, especially the Congress, and also some Army purists, making a hue and cry not only about the supersession of the two Generals whom then Lieutenant General Rawat went over, but also making a fuss about the implications this appointment would have on the strategic management of the Armed Forces. Some even attributed the appointment to the General’s ‘proximity’ to the Centre for his current posting or the continuation of the Infantry’s grip over top positions in the Army. On fails to understand what the problem really was. Critics said that the Modi Government appointed Gen Rawat through supersession. Yes, that’s true and the Government has already accepted it. They added that Gen Rawat superseded two senior officers — Lt Gen Praveen Bakshi and Lt Gen PM Hariz. This too is true. The Government accepted it. Critics said that the two senior officers who were superseded had merit and impeccable credentials. The Government has acknowledged this too. What is the fuss about, then? In 1983, Lt Gen SK Sinha, who was an outstanding senior officer, was to be appointed as the Army chief to succeed General KV Krishna. However, the then Indira Gandhi Government appointed General AS Vaidya, who was junior to Lt Gen Sinha. The reason given by the Government was that it did not want an officer of Sinha's cadre to be the chief of Army as he lacked active service in operations. However, many believed that the Government was discomforted with Lt Gen Sinha as he had the courage to stand up for soldiers' rights. Eventually, he quit. In 1991, there was a considerable hand-holding from a newly-installed Narasimha Rao Government for the appointment of Air Chief Marshal Nirmal Chandra Suri. Air Marshal Suri, (number two in the hierarchy) was retiring on the same day as his boss, Air Chief Marshal, SK Mehra. But the latter obliged by demitting office in the forenoon on July 31, 1991. The resultant was that Suri became the Air Force chief, superseding Air Marshal PK De. Thereafter, Suri picked up an additional two years of service which a service chief is entitled to. More recently, in April 2014, the UPA Government under Prime Minister Manmohan Singh appointed Admiral Robin Dhowan as the Navy chief, instead of Western Naval Command chief Vice Admiral Shekhar Sinha. The Government came up with a bizarre logic for his supersession: It claimed that under Admiral Sinha as the Flag Officer of Western Command, there had been many accidents, for which he was to be blamed. Admiral Dhowan was six months junior to Vice Admiral Sinha. After facing humiliation, Vice Admiral Sinha opted for voluntary retirement and also suffered a heart attack. The year 2016 was a tumultuous one in terms of the environment across the world and India was no exception to this rule, having spent the final month of the year tackling a devastating cyclone in the country’s south and unbearable pollution levels in the national capital New Delhi up north. In this context, while going green is increasingly an important prerogative for Indian leaders, it is important to understand the role of India’s National Green Tribunal (NGT) and its work in 2016. Under the National Green Tribunal Act 2010, the NGT was set up with the specific mandate of handling environmental disputes, particularly multi-stakeholder scenarios. In 2016, it passed impactful verdicts on issues including control of pollution, forest clearance, and wildlife conservation. In terms of pollution control, when the air quality in Delhi began to deteriorate in early November, culminating in what ultimately was termed an environmental emergency, the NGT’s role was critical in the efforts to restore normalcy. The NGT supported the phased deregistration of 15-year-old diesel vehicles in Delhi, placed strict rules on incineration plants, constituted a committee to inspect gas stations, and even pioneered a ban on disposable plastics, in effect from January 2017. It also set an important precedent by banning construction activity in the peak stages of this emergency and stood clearly on the stance that economic setbacks cannot be a reason to ignore wide-ranging environmental problems. NATE, India — Ronnie Screwvala sat cross-legged early last month on the floor of a three-room schoolhouse here in Nate, a village about 100 miles from Mumbai, the city of his birth where he built a billion-dollar media conglomerate. Watching a group of children playing with colorful educational games, Mr. Screwvala, a boyish-looking 54-year-old, appeared as wide-eyed and engaged as the students. Pakistan has commissioned two new Maritime Patrol Vessels into service with the Pakistan Maritime Security Agency (PMSA), IHS’s Jane’s Navy International reported on December 29. The ships, christened PMSS Hingol and PMSS Basol (pennant numbers 1070 and 1071 respectively), were commissioned on 11 December 2016 in Guangzhou, China. Initially, all six new PMSA ships were supposed to be assembled in Karachi. However, KSEW lost the construction bid due its purported inability to keep production costs lower than CSTC. China and Pakistan signed a transfer-of-technology agreement for the construction of the six vessels in June 2015. How are the Taliban and Kabul faring in their diplomatic tug-of-war over Afghanistan’s neighbors? Since the formation of the Afghan National Unity Government (NUG), the regional competition between the Taliban and the NUG has peaked. The Taliban has widened its diplomatic relations with Russia, China, Iran, and some Central Asian and Middle Eastern countries as well as international organizations to counter the influence of Afghan President Ashraf Ghani’s regional anti-terror proposal. There are several apparent motives behind the Taliban’s outreach: to decrease misperceptions and concerns about the Taliban and strive to change international opinion, which is currently stacked against them; to get supports for the Taliban’s war against U.S. “occupation”; to negotiate prisoner swaps; and to discuss the Afghan peace process. China’s investment in aircraft carriers will take a great deal of time and money to reach its full potential. The Liaoning, China’s first aircraft carrier, recently completed its first live-fire exercises before sailing from the Bohai Sea to Hainan Island. Additionally, its first indigenous aircraft carrier, the Type 001A, is under construction at Dalian shipyard and should be completed in the first half of 2017. In 2015, Taiwan’s Ministry of National Defense reported that a third aircraft carrier is being built in Shanghai. These ships will add a new capability to the People’s Liberation Army Navy (PLAN), but the threat they pose should be kept in perspective. China’s aircraft carriers will affect the balance of power in East Asia, but local states have ways to mitigate the impact and maintain deterrence. The New Silk Road is a multifaceted, multinational initiative to establish a network of enhanced overland and maritime economic corridors extending between China and Europe, better integrating a region that consists of over 60 countries and 60% of the population, 75% of the energy resources, and 70% of GDP in the world. It's potentially an earth-shaking, paradigm-breaking disruption that would more fluidly connect the economic giants of China, Russia, Iran, India, and Europe into a loosely affiliated geo-economic bloc that could shift the balance of global power. China's Air Force: Just a Paper Tiger (Or Ready for War with America)? China Unveiled its New 5th-Generation J-31 Stealth Fighter in November of 2014. The Russian Ministry of Defense intends to field the first upgraded T-72s and T-90s in two to three years, the Izvestia daily newspaper revealed. Russia’s operates around 300 T-72B3s, an upgraded variant of the original Soviet-era T-72 MBT, out of a total T-72 force of roughly 1,900, and around 350 advanced T-90A, and T-90SM, (other designations T-90AM or T-90MS), the latest and most modern version of the T-90, specifically designed for export. Despite the addition of the T-90 (and around 450 T-80s) , the T-72B3, next to other variants of the tank, remains the backbone of Russia’s tank force. His casual reference to the Hitler-Stalin pact dividing Eastern Europe before World War II was meant as a reminder that Ukraine must decide its future for itself, rather than let it be negotiated between great powers. But it haunted me, this idea that modern revolutionaries no longer felt some special affinity with the West. Was it the belief in collective defense that was weakening, or the underlying certitude that Western values would prevail? Months later, on a different porch thousands of miles away, an Estonian filmmaker casually explained to me that he was buying a boat to get his family out when the Russians came, so he could focus on the resistance. In between were a hundred other exchanges – with Balts and Ukrainians, Georgians and Moldovans – that answered my question and exposed the new reality on the Russian frontier: the belief that, ultimately, everyone would be left to fend for themselves. Increasingly, people in Russia’s sphere of influence were deciding that the values that were supposed to bind the West together could no longer hold. That the world order Americans depend on had already come apart. The more Islamic State is suffering military setbacks in Syria and Iraq, the more probable terrorist attacks against Israel become. The first firefight between the IDF and an Islamic State-affiliated group in the Golan Heights, and a foiled terrorist attack on Israel’s national football team in Albania, both at the end of November 2016, have evoked the question: how dangerous is Islamic State to Israel? In order to answer this question, one should assess three theaters: (1) Israel’s border areas where Islamic State-affiliated groups are active; (2) the Palestinian territories; (3) Israel. In the 1950s, America was enthralled by the atom. 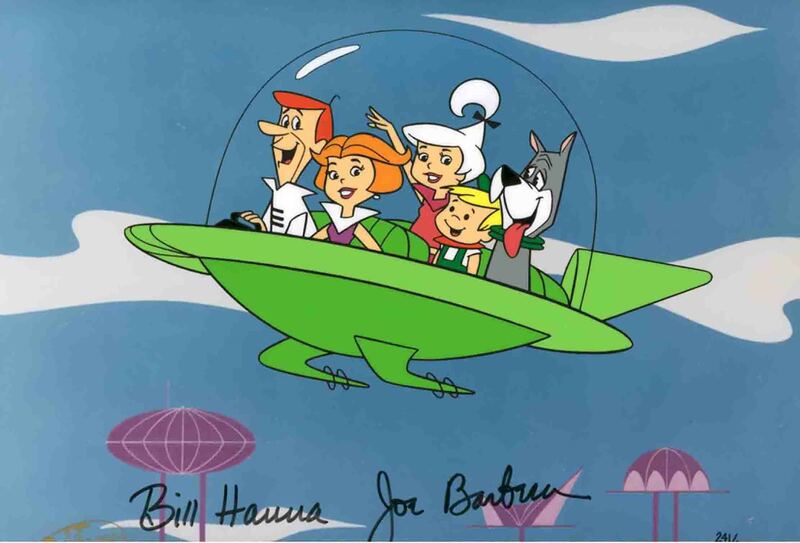 There were plans for atomic-powered cars, atomic-powered aircraft and atomic-powered spaceships. So why not an atomic-powered tank? Even by the standards of the 1950s, with its visions of Jetsons-style technology, the Chrysler TV-8 was strange. Almost monstrous, like some mutated mushroom creature out of a 1980s post-apocalyptic nuclear horror flick. Chrysler's design was essentially a giant pod-shaped turret mounted on a lightweight tank chassis, like a big head stuck on top a small body. The crew, weapons and power plant would have been housed in the turret, according to tank historian R.P. Hunnicut's authoritative "A History of the Main American Battle Tank Vol. 2". The four-man vehicle would have weighed 25 tons, with the turret weighing 15 tons and the turret only 10. It would have been armed with a 90-millimeter T208 smoothbore cannon and three machine guns, including a remote-controlled .50-caliber operated by the tank commander. "Closed circuit television was provided to protect the crew from the flash of nuclear weapons and to increase the field of vision," writes Hunnicut. Various power plants were considered, including a Chrysler V-8 engine coupled to electric generators connected to the tracks, a gas-turbine electric drive, a vapor-cycle power plant using fossil fuels, and finally a vapor-cycle power plant using nuclear fuel. As we begin the new year, most media pundits will continue to focus their attention on the U.S. sanctioning of Russian entities and the expulsion of nearly three dozen of their intelligence agents from the U.S. An even bigger story, however, is the unprecedented steps taken by the Obama administration to shine a light on the tactics and procedures behind Russia’s “malicious cyber-enabled activities.” These were revealed in a 13-page report published jointly by the Federal Bureau of Investigation and the National Cybersecurity and Communications Integration Center, a branch of the Department of Homeland Security. 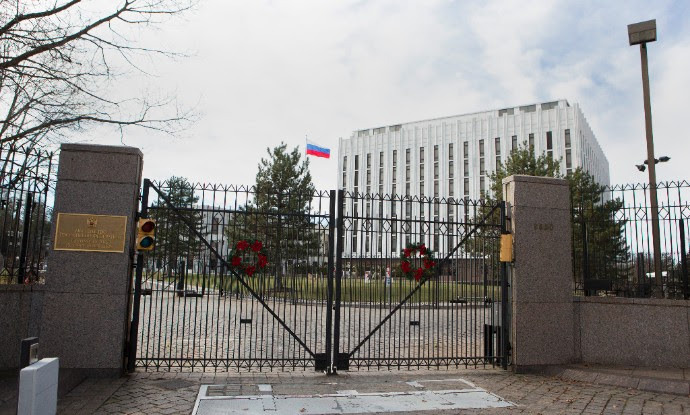 Publicly laying this level of detail out sets a dramatic precedent that could serve a significant blow to Russia’s current and future cyberoperations in the U.S. and elsewhere. The technical details of the report constitute an intelligence windfall for ordinary network defenders who have been starving for rich real-time threat information from the federal government to protect their systems against sophisticated actors. While there are downsides to such a dramatic reveal, it is clearly the right thing to do. Is This the Accidental Mastermind in the DNC Hack? The White House’s new list of sanctioned Russians includes a young Moscow-based hacker, much to her professed surprise. The list of characters that the White House is sanctioning for participating in the “Fancy Bear” DNC hacks reads like a casting call for a James Bond movie (the Roger Moore years.) A quick image search on the names turns up a handful of GRU officers in olive military uniforms, complete with red-piped epaulets, among others. But one company on the list stands out, and the founder, a young woman named Alisa Esage Shevchenko, is suddenly caught in the glare of a very unwanted spotlight. Shevchenko denies the accusations. Speaking to Forbes writer Thomas Fox-Brewster, she called them “sick.” On Twitter, Shevchenko claimed that the company went out of business more than a year ago. Zorsecurity’s site is now blank, though at post time plenty of live HTML remained on the home page. Among other things, it advertises the company’s mission: “to protect Russian companies from professional computer attacks.” That’s the same mission the site listed on April 3, 2015, when the site was archived. The service identifies innovations needed now to meet or beat the challenges of the future. It might seem foolish to create plans now, knowing the hardware and software of today hardly will resemble their successors in a few short years. Yet that is precisely why government leaders must strategize now. The Army recognizes that waiting until 2025 to design its network would be far too late. In this highly dynamic environment, change is the only constant, and organizations must embrace rather than resist it. The Army’s approach will let soldiers fight in joint, interagency and multinational environments. Its vision identifies five areas where the service needs leap-ahead technologies and network capabilities: dynamic transport, computing and edge sensors; data to decisive action; human cognitive enhancement; robotics and autonomous operations; and cybersecurity and resiliency. It seeks to provide resilient decision-making capabilities and knits together every aspect of the military sphere—from individual soldiers on the battlefield to leaders half a world away. Military chiefs are prepared to give President-elect Donald Trump the options he wants to intensify the fight against the Islamic State, including the possibility of granting commanders greater leeway to use secret cyber-warfare and space weapons, the top Air Force leader said. Goldfein said the recommendations may center on permitting field commanders more flexibility to deploy an array of weapons against the militants, who are waging a terror campaIgn beyond their bases in Iraq and Syria.